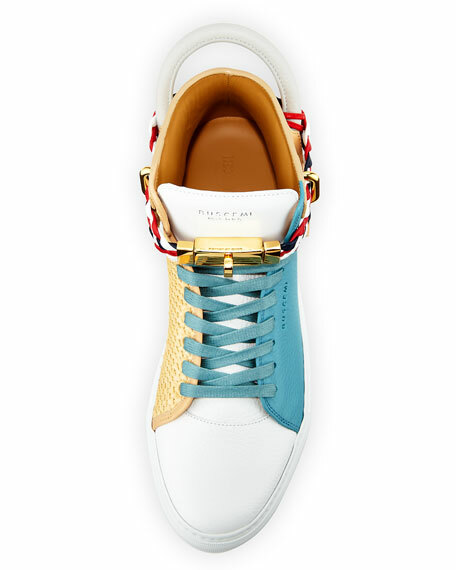 Buscemi men's "Mix" high-top sneaker in colorblock full-grain pebbled calf leather. 1" heel; shaft, approx. 4"H (100mm). 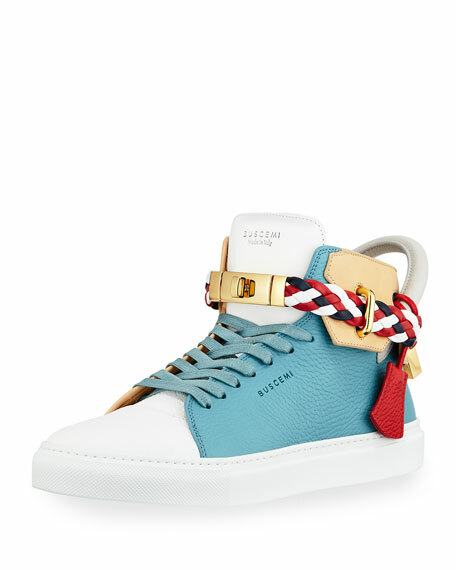 Braided multicolor leather ankle-strap with turn-lock closure. Oversized contrast pull-loop with key and padlock accent. Embossed logo at tongue and side. 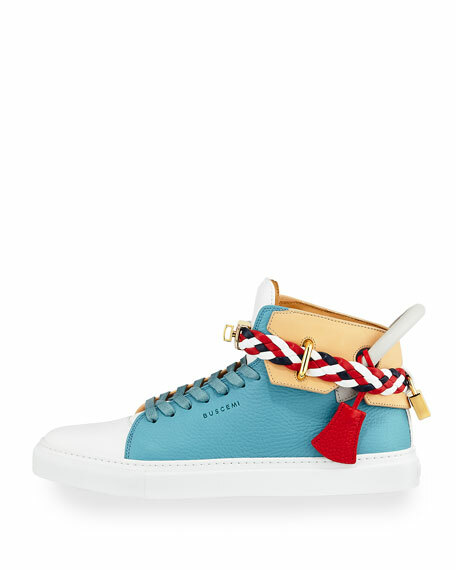 For in-store inquiries, use sku #2158916.